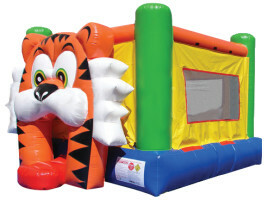 Ever wanted to play with a tiger? 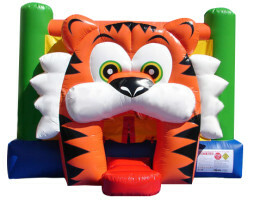 Now you can with our Tiger Bounce House rental. The tiger's welcoming smile invites all guests to come prance around with him, leaping from tree to tree in the middle of the Amazon. The only question is if your guests can keep up.